Please contact us if there is any question, full refund guarantee in case of dissatisfaction. Anlaey provide various kinds of great products at the good prices to you, * Please search Anlaey front and get what you want! Attention: Sold by "Alily". Please note that "Anlaey" is a registered trademark. We are not responsible for other sellers selling in a different, inferior quality! 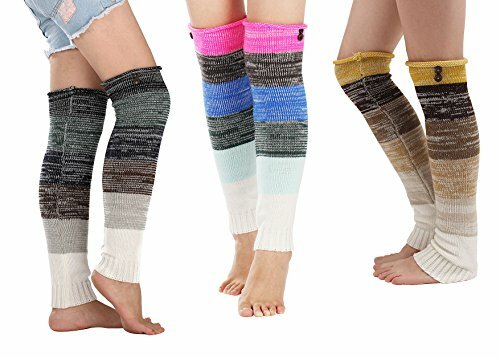 They're not only a must-have cold weather accessories to keep legs and arms warm for girls and women of all age but also makes a great holiday gift for your friends and loved ones. If you have any questions about this product by Anlaey, contact us by completing and submitting the form below. If you are looking for a specif part number, please include it with your message.